The Spring season of workshops will commence in Feb & March 2014. This first block of 5 workshops will be taking a look at fundamental abstract and art journaling techniques using acrylic paints, pastes & gels to add colour, texture, paint effects, collage, image transfer & gilding plus much more to create a variety of abstract works. 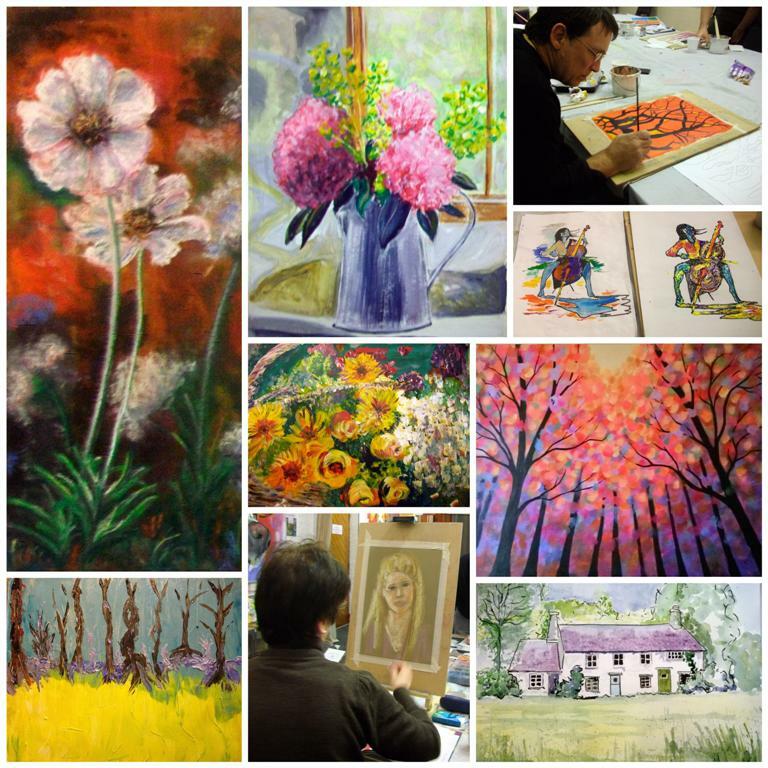 Course includes expert tuition in mixed media painting and drawing. All artist quality materials and equipment is provided. Please bring relevant references to work from for each of these sessions. To book on this five week course payment of £62.50 (£12.50 pp per session inc. materials) will be needed in advance and full payment will be due at the first session in February. Cash is preferred however cheques or bank transfers are also acceptable. All tools and equipment will be provided and included in price. Also free to bring your own materials or photos to use at the workshops. Many of my students also use smartphones & IPads as part of their working so feel free to bring these if necessary. Tea and Coffee provided FREE on site. Please book in advance to guarantee a place.